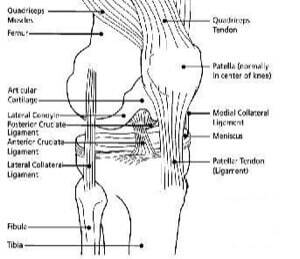 An estimated 100 million Americans suffer from a knee injury. Many of these more serious injuries come from the trauma of a motor vehicle accident. Jury awards vary wildly in knee injury cases. There are two significant variables: (1) the severity of the injury, (2) whether there was a previous problem with the knee that contributed to the injury. The last statistic is not surprising: the mechanism of injury in these cases is such that you do not expect a severe leg injury in a rear-end accident. It happens. But it is pretty rare. How much are knee injury cases worth? The cases below -- many of which are our law firm's cases -- give a glimpse at the potential value of these cases. But keep in mind that a single case or even a group of cases cannot tell you the value of your claim. Every case is different. There are so many factors that go into the value of these claims. Still, combined with the verdict statistics above, these may help you get a better idea of the possible range of values for your case. 2014: Maryland: $5.2 Million Verdict: Plaintiff required a below the knee amputation after a knee dislocation was missed at St. Agnes Hospital in Baltimore. Miller & Zois handled this case. Here is a video animation we created of the knee that shows what the doctors missed and the day in the life video our client has kindly allowed us to post online. 2014, Maryland: $135,000 Settlement. Plaintiff, a pedestrian, suffered a serious right knee fracture after being struck as she walked through a parking lot in Baltimore County. Plaintiff required surgery as a result of the fracture. After the surgery, the 76-year-old Plaintiff contracted an infection, which prolonged her recovery by several months. The State Auto insured Defendant claimed that she was able to stop her vehicle in time and that she didn’t make contact with the Plaintiff. She further contended that the Plaintiff was contributorily negligent for walking through the parking lot with her head down. The case concluded at mediation, resulting in a $135,000 settlement. Miller & Zois handled this case. 2013, New York: $375,000 Settlement/Verdict. Plaintiff, a 29-year-old construction worker, is a passenger involved in a head-on collision with a vehicle while executing a left turn. Plaintiff presents to a hospital 12 hours later with complaints of neck, back, and left knee pain. After two weeks, Plaintiff complains about a painful condition in right knee. Plaintiff sues his driver, the owner of the vehicle, and the driver of the other vehicle claiming derangement of the cervical and lumbar spine, a tear in posterior horn of each knees' lateral meniscus, and a bucket-handle tear of his right medial meniscus. Over two and a half years, Plaintiff has three knee surgeries, trigger-point injections, and physical therapy. Parties stipulated to $77,843.13 in medical bills. 2012, Maryland: $600,000 Settlement. Plaintiff, 27, is approaching a crossover when a dump truck pulls directly out in front of him, causing him to swerve to the right. Plaintiff is unable to avoid coming into contact with the rear of Defendant’s vehicle, and after striking the dump truck, is further overturned when he is struck by a tractor-trailer. Plaintiff sustains a fracture/dislocation of the left hip, left knee, left leg, dislocation of the left foot, fracture of the left elbow, left eye laceration and right wrist laceration. Plaintiff undergoes surgery for closed reduction of the left hip; closed reduction of the left fourth and fifth metatarsophalangeal joint dislocations; and open reduction internal fixation of the left elbow. Plaintiff contends permanency as well as possible need for a total hip replacement in the case of avascular necrosis or post-traumatic arthritis. Plaintiff sues both drivers and the dump truck’s employer. The case settles for $600,000, days before the trial. This was a Miller & Zois settlement. 2012, Maryland: $100,000 Arbitration Award. Plaintiff, a 19-year-old administrative assistant, is rear-ended while stopped at a red traffic light. She is struck with such force that her vehicle comes to rest on the opposite side of the intersection. Plaintiff suffers neck, back, and left ankle sprains, a left knee medial meniscal tear, and left knee and ankle contusions. Plaintiff undergoes arthroscopic surgery to her left knee and subsequently suffers a deep vein thrombosis that leads to a significant period of anticoagulant therapy. Additional knee surgery is recommended; however, Plaintiff is hesitant to undergo additional surgeries given the resulting DVT after her prior surgery. It is determined that Defendant had been drinking at the time of the accident and fell asleep at the wheel. The case is arbitrated and the arbiter awards more than $100,000, but it is reduced to the high/low agreement of $100,000. Miller & Zois handled this claim. 2011, New York: $144,000 Verdict. Plaintiffs, husband and wife, are rear-ended by Defendant. Both claim back, neck, and knee injuries. Husband claims tears and sprains in both knees, as well as several disc herniations and bulges. Husband returns part-time to work after two days, but is unable to work full-time for eight months. He receives physical therapy for four months. Wife claims a medial meniscus tear, as well as several herniations with radiculopathy. Knee injuries are often life-changing. Too many insurance companies -- and lawyers -- undervalue knee injury claims. She undergoes an arthroscopic meniscectomy, two chondroplasties, and a synovectomy of the left knee and receives therapy two to three days a week for almost a year. Defendant’s experts claim that both husband and wife’s knee injuries are unrelated to the accident. Jury awards husband $43,000 and wife $101,000. 2011, New York: $20,000 Verdict. Plaintiff, a 55-year-old seamstress, is struck in the left knee by a car while trying to cross the street. Plaintiff claims a pedestrian traffic signal provided the right of way. The vehicle’s driver did not stop and was never identified. Plaintiff receives minor treatment at the hospital. After being discharged immediately presents to a physiatrist complaining of knee pain. Plaintiff undergoes 16 weeks of therapy and claims residual pain with a reduction in the range of movement. Plaintiff sues the Motor Vehicle Accident Indemnification Corp. This entity compensates victims of motor-vehicle accidents caused by uninsured or underinsured motorists. Jury finds the unidentified driver to be negligent but assigns Plaintiff 25% of the liability. They further find that she did not suffer permanent limitation of the knee and award $20,000. The comparative-negligence reduction produced a net recovery of $15,000. 2010, Virginia: $225,000 Verdict. Plaintiff, 58, is driving when she is struck by Defendant, causing her vehicle to spin. Her airbag deploys as a result of the accident. Plaintiff presents to the ER with facial burns from the airbag, as well as head, neck, and shoulder discomfort. Plaintiff presents to the ER again, ten days later, with complaints of swelling in both knees. 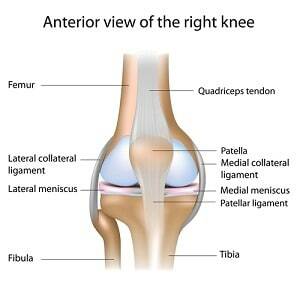 Fluid is removed from the right knee, and she is diagnosed with a partial meniscus tear. She undergoes surgery within a month. Plaintiff claims $48,468 in past medicals and $32,800 in future medical bills. Plaintiff’s expert testifies that her meniscus was weakened by her arthritis and age and that she was asymptomatic before the accident. Defendant argues that her injury was not as a result of the accident, as she did not complain of knee pain for ten days. 2010, New York: $10,000 Verdict. Plaintiff, 50, slows to a stop for an accident ahead while traveling on the parkway when he is rear-ended by the Defendant. Plaintiff sustains a torn medial and lateral meniscus in his right knee, requiring two surgeries, as well as a C5 avulsion fracture. Plaintiff claims he will need future surgery as well as a knee replacement on the opposite leg. He claims $6,700,000 for past and future pain and suffering and past and future medical treatment. Defendant alleges that the Plaintiff first struck the car in front of him before being rear-ended. Defendant’s experts claim that the surgeries were not related to the accident and that any knee degeneration stemmed from preexisting diabetic neuropathy. The jury determines that Plaintiff’s damages total $10,000 for past pain and suffering. 2010, Virginia: $396,000 Verdict/Interest. Plaintiff, a 50-year-old contract accountant, and part-time volunteer firefighter, claims a permanent knee injury after being rear-ended. Plaintiff previously underwent a knee replacement. Plaintiff claims she was required to have a revision of the prior surgery, leaving her with a 2% permanent partial disability, and an inability to continue as a volunteer firefighter. Defendant disputes causation and alleges that Plaintiff first struck the vehicle in front of her, and had no brake lights for him to notice. Plaintiff was awarded $336,000 for compensatory damages plus approximately $60,000 in pre-judgment interest. Miller & Zois handles serious injury traffic collision cases involving knee injuries throughout Maryland. If you or a loved one has suffered a severe leg injury as the result of the negligence of someone else, call us at 800-553-8082 or click here for a free Internet consultation.